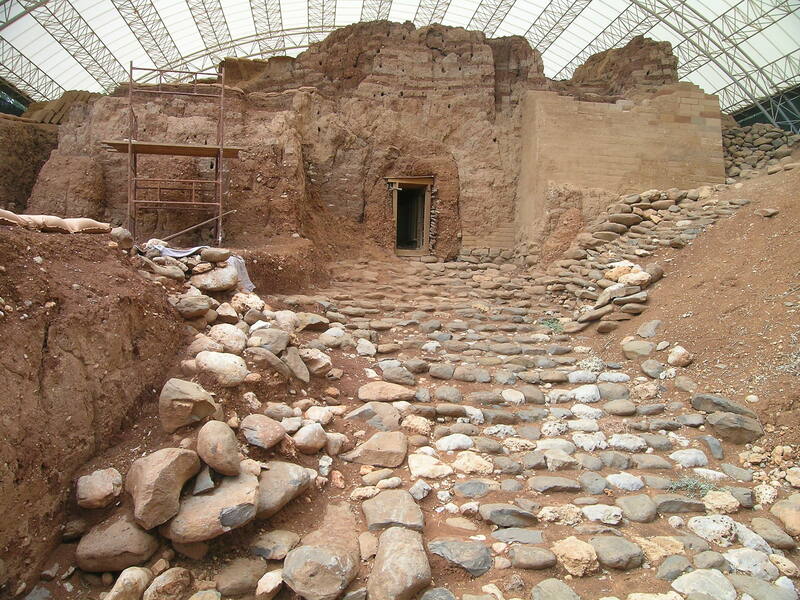 Did you know that even though Tel Dan (the ancient city of Dan) has yielded some amazing archaeological discoveries, those currently excavating it (Drs. David Ilan, Ryan Byrne, & Nili Fox) claim that, “the artifacts of more than ninety percent of the mound still lie underground waiting to be discovered”? (http://www.teldan.wordpress.com). The photo on the left gives an idea of the size of the mound. 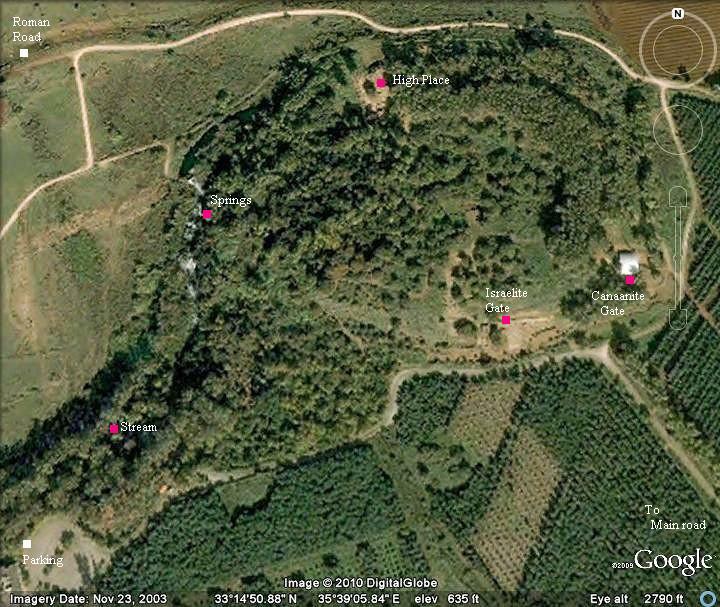 The dense area of trees shows how much of the tel remains untouched. In spite of the fact that Avraham Biran presided over excavations here for 33 years (1966-1999), and the current directors have been digging since 2005, the exciting news is that there is more to discover. Imagine all those years of digging (43 counting this summer) and archaeologists have barely scratched the surface of Tel Dan! This is an excellent example of what a mamoth task archaeologists confront and how careful we should be about accepting dogmatic answers (that lack proof) from them. This way to Tel Dan discussion! In this article we will look at some of the exciting discoveries already made. 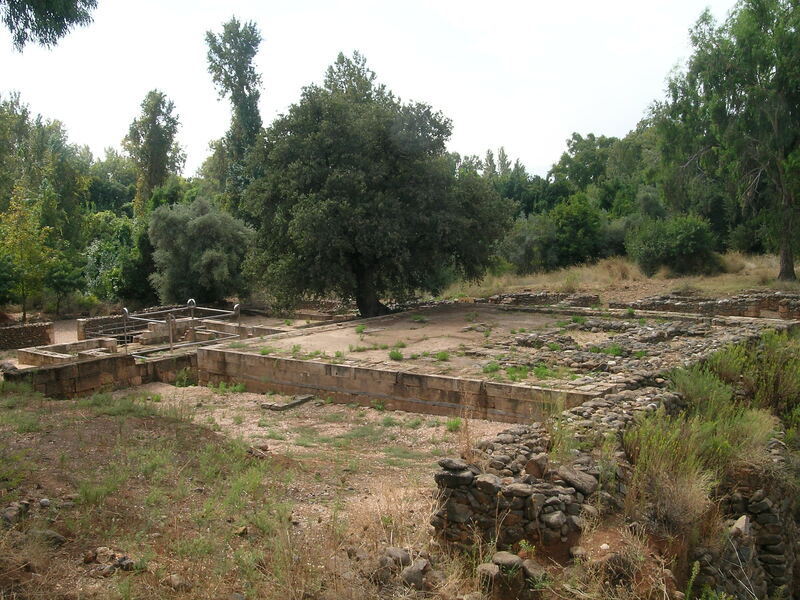 In a second article on Tel Dan I will talk about the significant biblical events that took place here. The biblical history of Dan is fascinating, but frustrating, as it is a prime example of Israel’s idolatry and unfaithfulness. 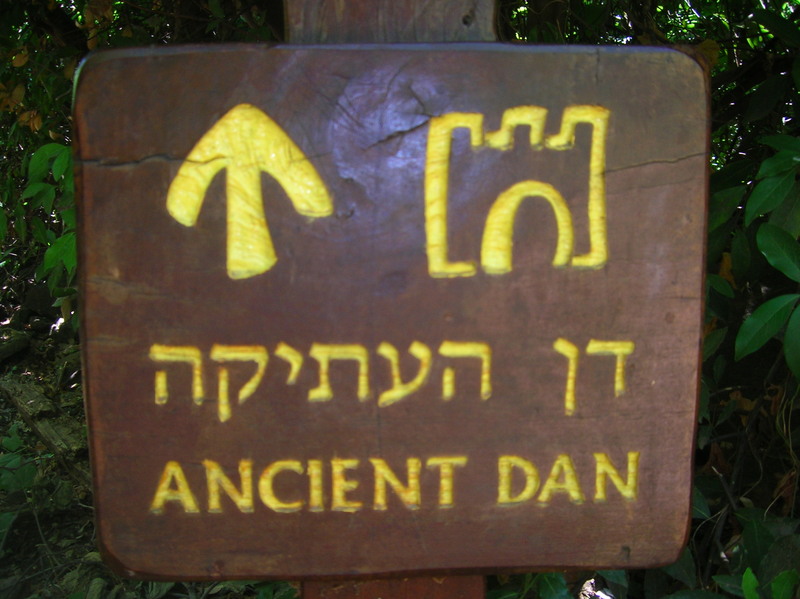 Follow the sign for further discussion on Tel Dan! 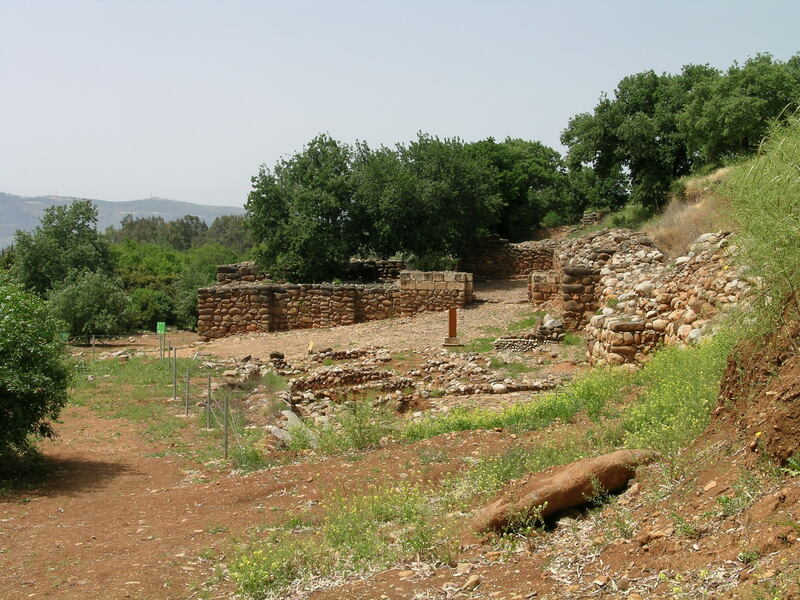 In our last article on Khirbet Qeiyafa we talked about the significance of the “house of David stele” that was discovered at Tel Dan. This stele was made by the Syrian king Hazael. Although the Bible doesn’t specifically say that Hazael captured Dan, it does state that he conquered and controlled alot of Israel and Judah (2 Kgs. 8:12; 10:32; 13:3, etc.). Since Dan was Israel’s northernmost city, it follows that Hazael would have to control it in order to penetrate further into Israel’s territory. The stele is proof that he did. This stele was probably set up by Hazael around 841 BC after capturing the city. When Dan came back under Israel’s control (2 Kgs. 13:25), the stele was apparantly smashed and used as a building block in one of the city’s walls where it was discovered in 1993. 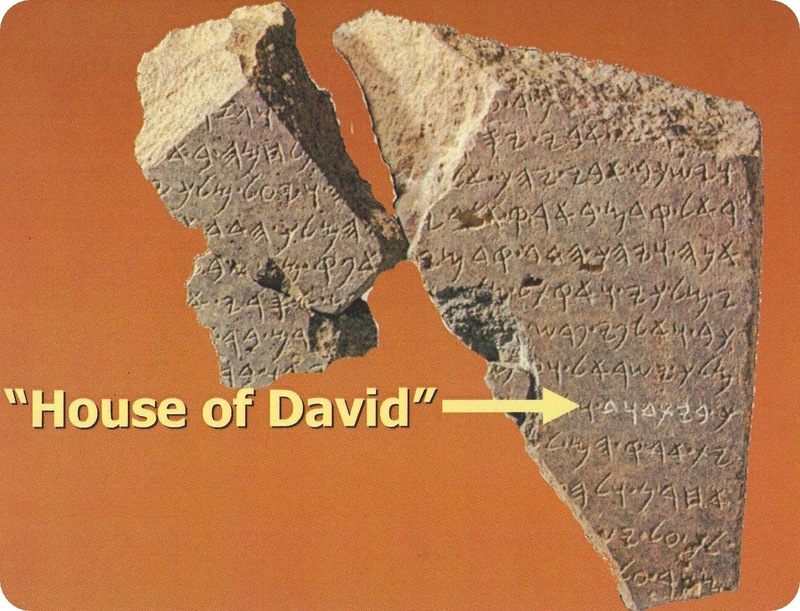 The stele is important because it is the only extra biblical source that mentions the “house of David” and, therefore, supports the biblical claim that the kings of Judah were descended from a real historical person named David. Previous to this discovery, a lack of archaeological evidence mentioning David had caused some archaeologists to doubt his existence. Even now, some continue to insist that the kingdom of David and Solomon is mythical and that the archaeological evidence does not support it. 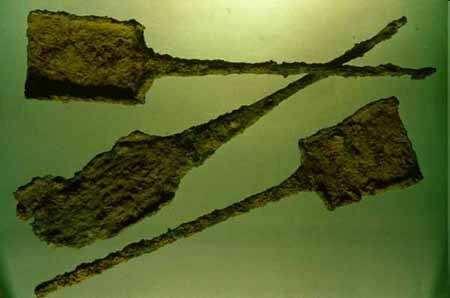 Again, this is the problem that can develop when archaeologists draw conclusions because of a lack of evidence for something, when there is so much that remains to be discovered. Unfortunately, it is often these very archaeologists or scholars who are interviewed for documentaries about the Bible, leading to greater skepticism among the public who view these programs. One example of this is the History Channel’s “The Bible Unearthed (2009).” (To see comments on David and Solomon’s kingdom forward the video to the 30 minute mark). In spite of the skepticism of some, however, there are other archaeologists who put greater trust in the biblical account. 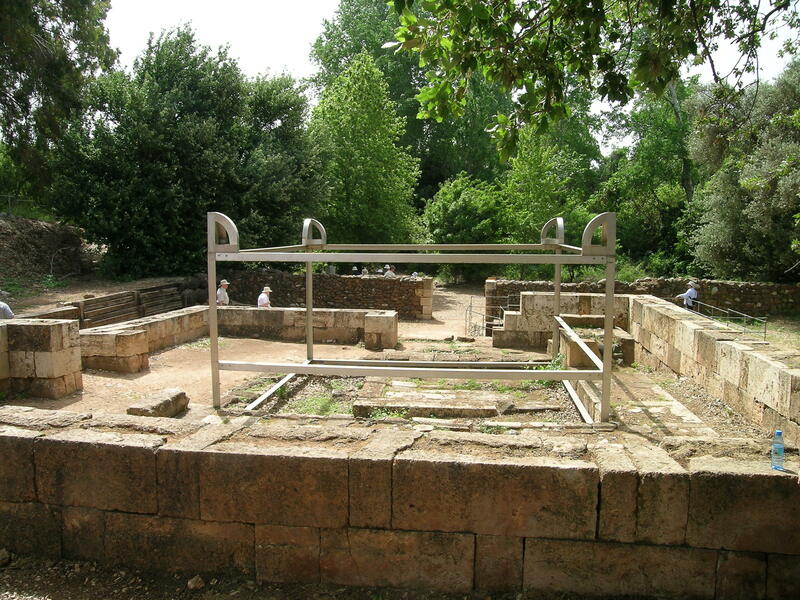 The discovery of the Temple complex is another exciting feature of Tel Dan. 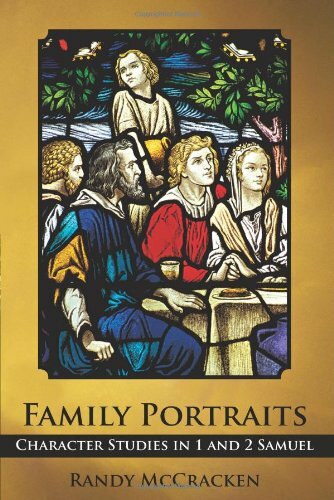 The Bible speaks of Dan being a place of Israelite idolatry as early as the period of the Judges (Judg. 18:30-31). However, it was Jeroboam I who built a permanent sanctuary to house one of the two golden calves he had made (1 Kgs. 12:28-30). 1 Kings 12:26-27 reveals that Jeroboam’s fear that the people of his newly established kingdom would continue to go to Jerusalem to worship, motivated him to build temples in Bethel (the southern border of his kingdom) and Dan (the northern border of his kingdom). Excavators have actually uncovered three phases of building activity here. The first is attributed to Jeroboam I about 930 BC. The second phase is attributed to the infamous idolator Ahab (9th century BC), and the final phase to Jeroboam II (early 8th century BC). A view of the sacrificial area including a reproduction of the altar of sacrifice showing its immense size. One of the important significances of the discovery of this temple complex is that it is only one of two discovered in the land of Israel (the other is in Arad which I will examine in a future article). Because excavation is not allowed on the Temple Mount, the temples in Dan and Arad provide the only examples of what an Israelite (or Judahite) temple looked like. 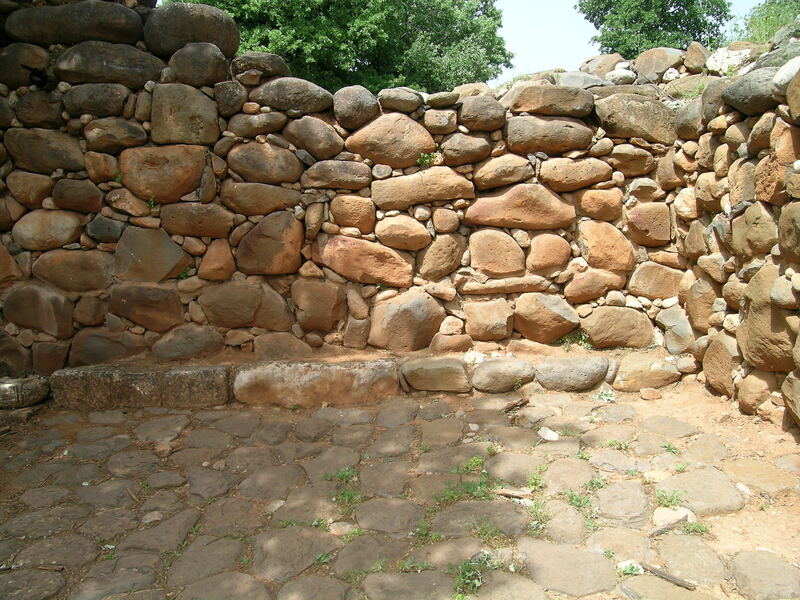 When approaching the site of Tel Dan, you can’t help but be impressed by the massive stone walls and the gate complex. The gate is four-chambered and directly outside of it is “an impressive courtyard enclosed by the city wall and a single-entrance outer gate” (Dictionary of the OT Historical Books, “Dan,” IVP, 2005, p. 197). Stone bench in the outer courtyard. Inside the courtyard is a stone bench, where the elders and notables of the city probably gathered (Gen. 19:1; Ruth 4:1-2). Left of the stone bench (as you are facing it) is the remnant of a canopy structure which may have been a throne platform for the king. King’s were known to sit in the gate (2 Sam. 18:24; 1 Kgs. 22:10). Me on the throne platform pretending to be king for a day. The high place at the gate of Tel Dan. Just outside of this 9th century gate complex is a chilling reminder of the idolatry of the northern kingdom. An altar made of stones represents what is called “the high place at the gates” (2 Kgs. 23:8 – the reference here is not to Dan but these high places were very common at the entrance of cities). One of the features of this altar are the “standing stones” (masseboth) which can be seen in the center of the altar. More of these standing stones can be found inside the gate in the outer courtyard. Scholars are not sure what these kind of stones represent. They could “represent the city god(s), divine icons, venerated ancestors, civic monuments or something entirely different” (quoted from teldan.wordpress.com). Another exciting discovery at Tel Dan is the (nearly) 4,000 year old Canaanite mudbrick gate, the oldest arched gate in the world. Although it’s popular to say that Abraham may have passed through this gate (see Gen. 14:14), if it is dated to the 18th century BC, as the excavators suggest, it would be slightly younger than Abraham. Nonetheless, it is still a very old structure. 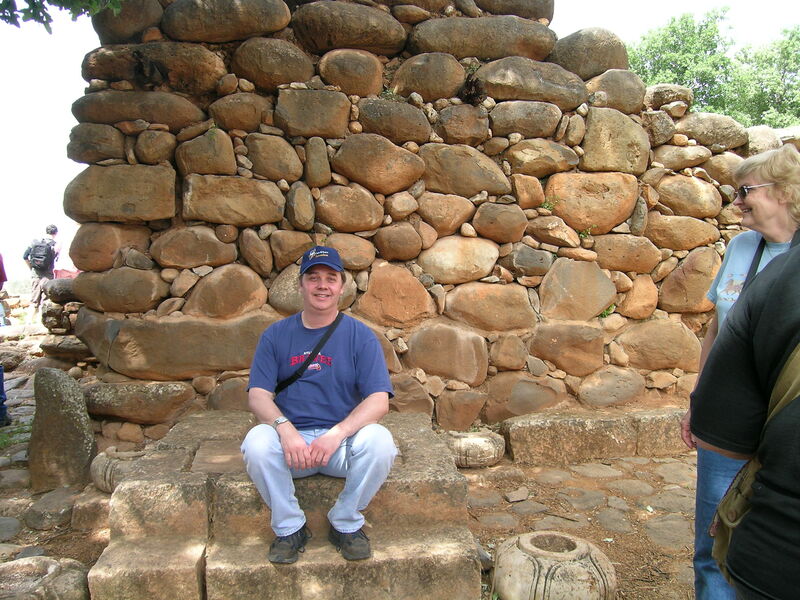 Old Canaanite gate at Tel Dan. Besides these significant discoveries, others have been made which I won’t take the time to detail here because they are not related directly to the Bible (like the Mycenaean tomb which has yielded many exciting artifacts). Tel Dan is clearly an important archaeological site and it will be interesting to see what is uncovered in the years to come. 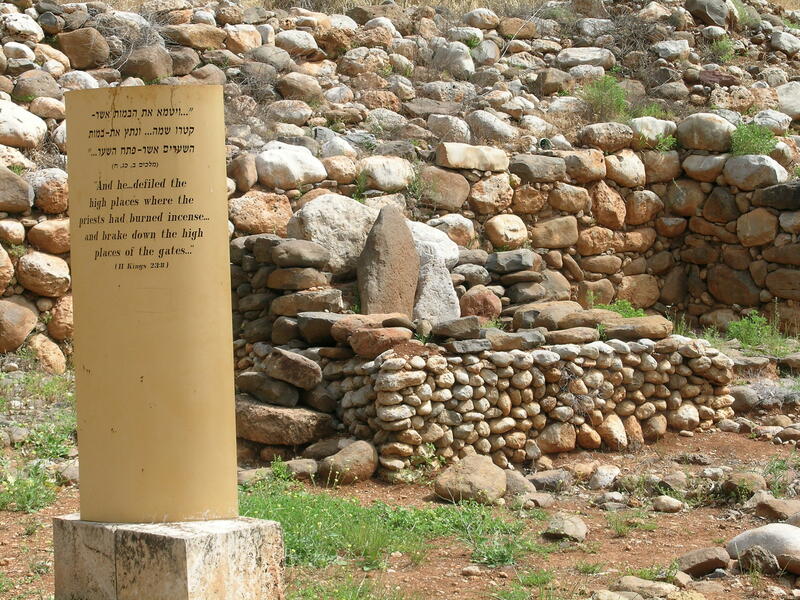 My next article on biblical sites will continue to focus on Tel Dan as we look at its spiritual significance according to Scripture.